Q. How large is a serving of wedding cake? Q. How soon do I need to order my cake? A. The sooner the better. We suggest you schedule an appointment at least 6 months prior to your wedding date to ensure availability. We currently only take 2 weddings per day. If you choose to use us as your bakery, you can put a deposit down and the rest can be worked out about a month before your wedding. Q. Do you require a deposit to reserve my date? A. Yes. A $100 deposit is required. Q. Can I sample different cakes and fillings? Q. 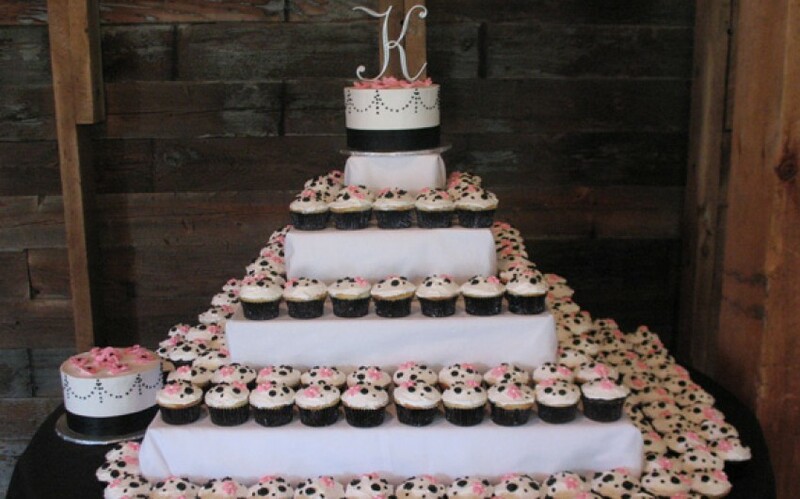 Do you customize wedding cakes? A. Absolutely! 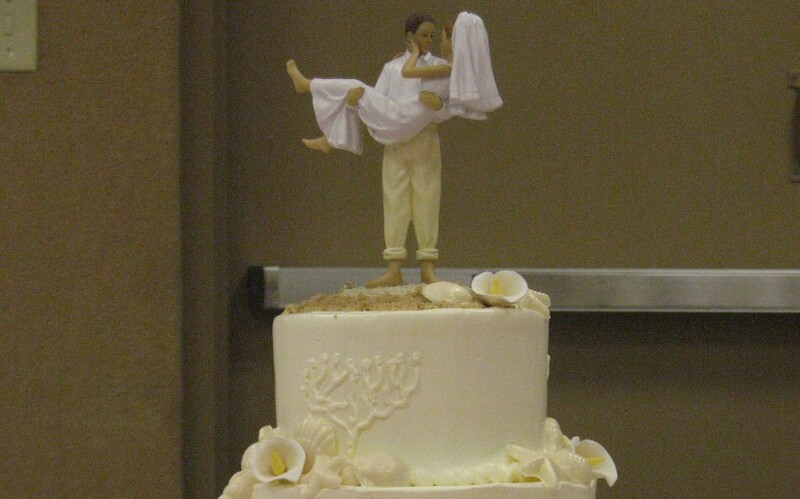 We can design a cake from pictures, fabric, your dress or anything else you can think up. We also have several pictures of cakes we have done that you can pick from as well. Q. What should I bring with me to the appointment? A. Occasion date, approximate number of guests, where the event is being held and directions to the venue, any ideas or details you want for your cake design, such as color, swatches, invitations, details from your wedding dress, etc. Q. What are my filling choices? A. We have a wide selection of filling choices ranging from vanilla pudding, to homemade lemon curd to our famous farm fresh fruits. We use whole raspberries or sliced strawberries along with our buttercream. 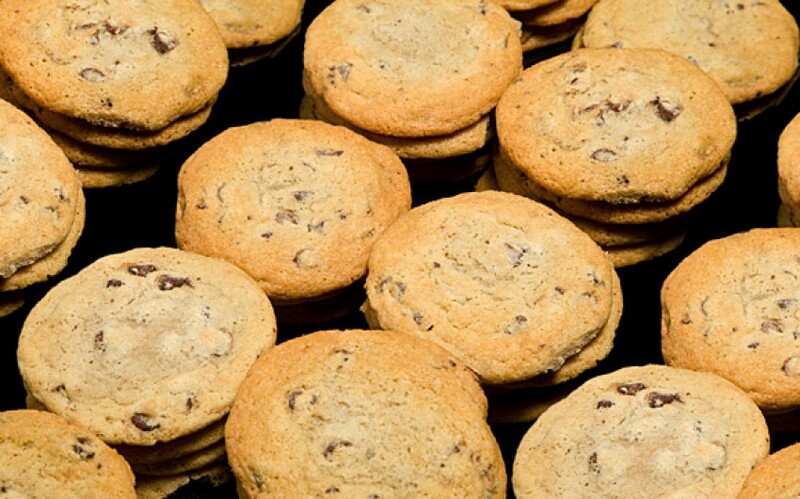 All of our cakes and fillings are made from scratch. Please see our info page for more details. Q. When do you bake my cake? A. We bake you cake the two days before your wedding. It is then refrigerated until we begin decorating the night before your reception. Our wedding cakes are never frozen. The one day of refrigerating helps the cake not crumb into the icing when decorating. Q. Do you include the top layer in the cake price? A. No, we give you the top layer of your cake as a gift from Grandma’s Country Oven Bake Shoppe. Q. Do you deliver my wedding cake? A. Yes we deliver. 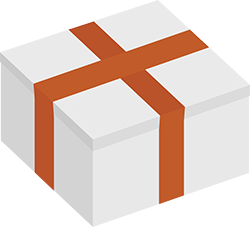 Ask about our delivery fees at your appointment. Q. Are you a licensed bakery? A. Yes we are. I know this seems like a silly question, but it is worth checking into. There are some reception facilities that will not allow a cake that is made at home due to health standards. So, it is important to check with your reception site and with your baker on this point. Q. Do you make “styrofoam” cakes? A. No we do not. 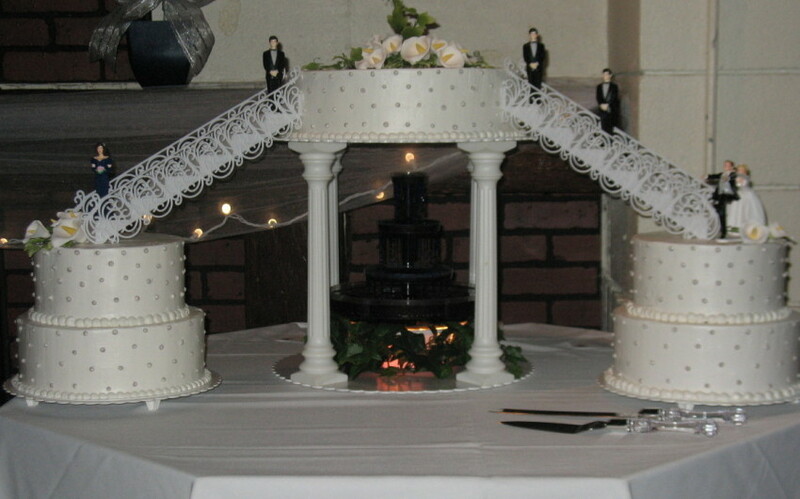 The majority of the cost of a wedding cake is in the decorating, therefore it is not cost effective to do fake cakes. Q. Do you make sheet cakes? A. Yes we do sheet cakes and this is a great solution to keep your cost down. Q. If I order my wedding cake from you, can I have someone else to supply sheet cakes? 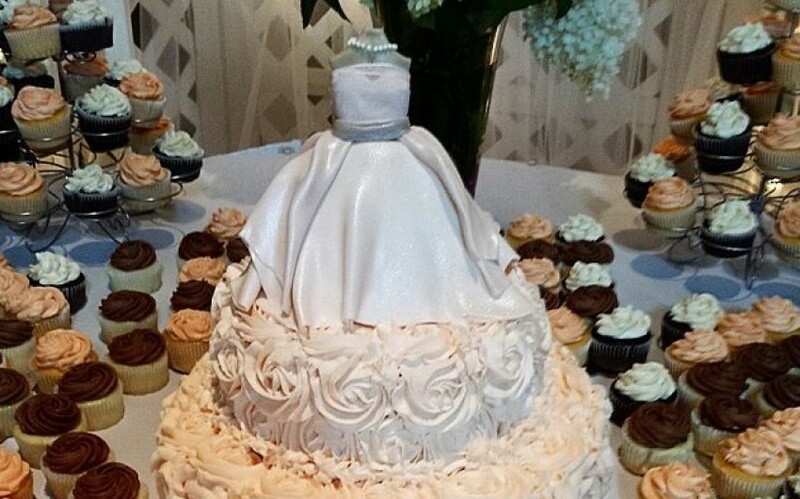 A. Grandma’s Country Oven Bake Shoppe will not provide a wedding cake when cakes are provided by any other baker. My reputation has been built on carefully crafted delicious cakes. It would not be fair for your guests to think a cake from another source was provided by me. So, therefore, Grandma’s will be the sole provider of all cake servings at your reception. Failure to comply with this policy/agreement, will result in forfeiture of both the wedding cake and the full purchase price of the cake as paid by the customer, excluding deposits on cake stand. Dessert buffets and displays of individual pastries are excluded. Q. Do you work with my florist to get fresh flowers on my cake? A. 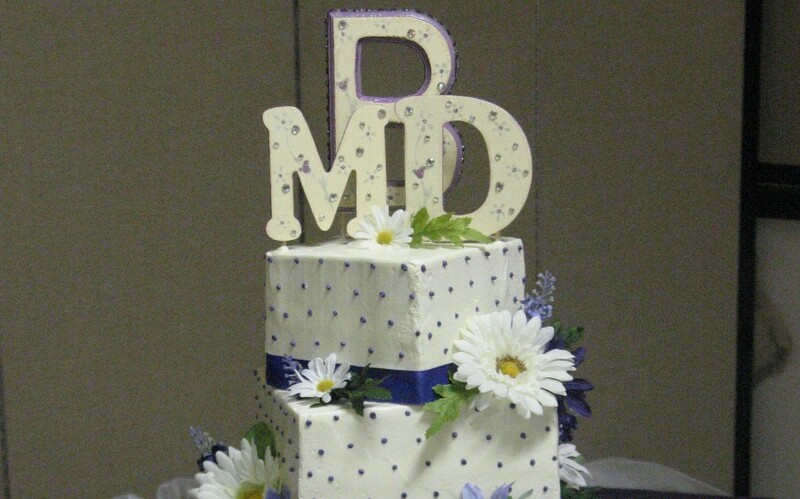 Yes we will tell the florist what size cakes you will be having and your design will need. But, we place all flowers on our cakes. This is to assure that your cake has no unexpected problems upon set-up.